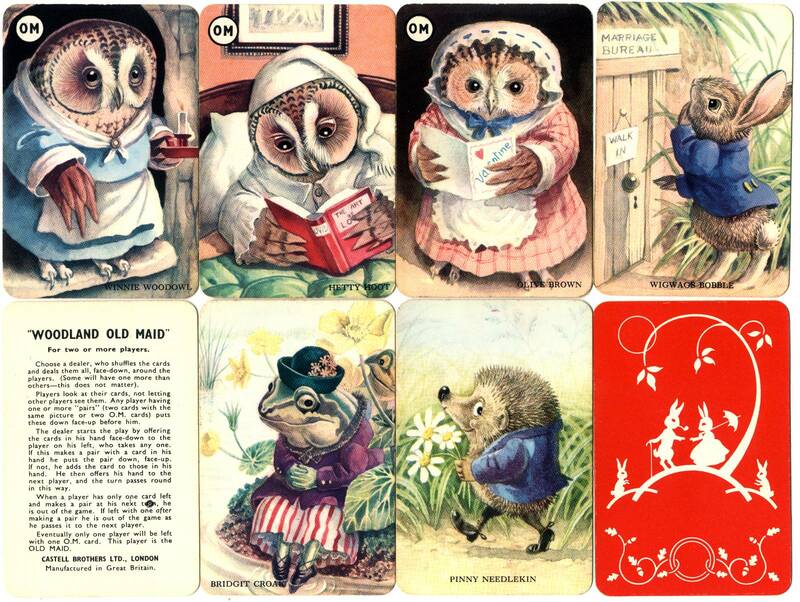 In this classic children's game first published by Castell Brothers Ltd (Pepys Games) in the late 1950s the Old Maids are depicted as gentle and loveable owls (maybe spinsters too!). Woodland Old Maid is a game for two or more players in which the object is to discard matching pairs and not end up holding the single Old Maid card. Old Maid card games were also re-titled in other countries as Black Peter (Schwarzer Peter) in Germany, Zwarte Piet (Netherlands), Svarte Petter (Sweden) and Pekka-Peli (Finland). The main focus of the game is towards the last card, which might be a black cat, an Old Maid, black-faced chimney sweep or black grotesque character. Above: Woodland Old Maid, a Pepys Card Game illustrated by Racey Helps, first published c.1957. The three 'Old Maids' are: Winnie Woodowl; Hetty Hoot and Olive Brown. 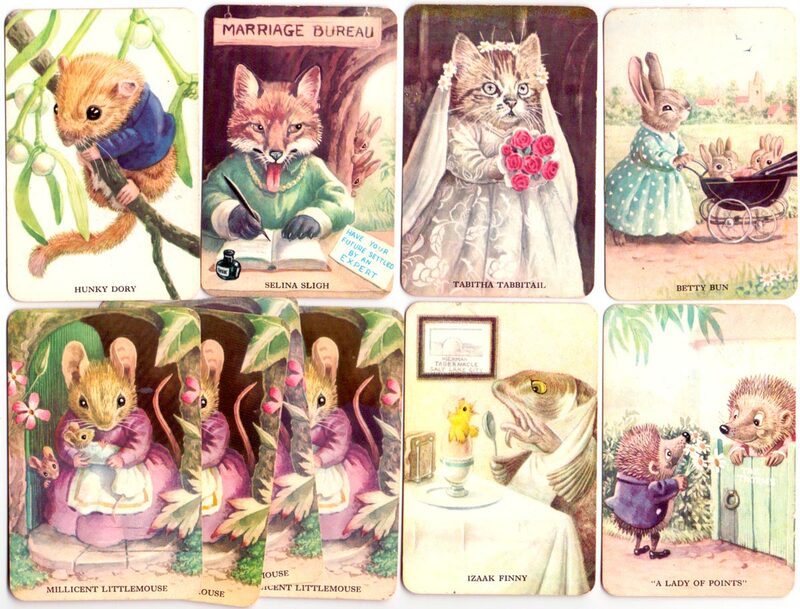 Ten sets of four matching cards, plus three 'Old Maid' cards + rules card in cardboard box.